In 1935, Josef Stöckli started producing wooden skis for his own use and his friends in his one-man business. That laid the foundation for the company Stöckli, which nowadays boasts a workforce of 250 staff, producing 45,000 skis a year and exporting to 33 countries worldwide. The Swiss outdoors specialist is based in Wolhusen, and its products are also produced within Switzerland. Stöckli not only works together with professional skiers, drawing on their experience in the construction process, but also frequently draws on scientific evidence. Research findings from the SLF (Eidgenössische Schnee- und Lawinenforschungsinstitut) and ETH (Eidgenössische Technische Hochschule) Zürich both flow into the Stöckli ski design process. 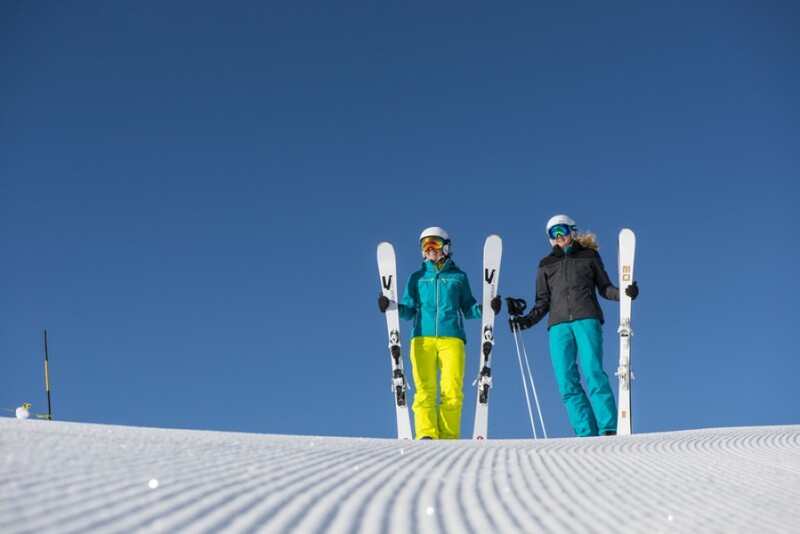 The ski model collection is comprehensive: From all-mountain and carving skis, race and slalom skis, through to backcountry and freeride skis – there is something for every Alpine ski fan. Stöckli also produces snowboards and Nordic skis as well as snowshoes and accessories in the same high quality and attention to detail. In recent times, the company has also turned its attention to the summer outdoors market. As a result, Stöckli now also makes sports articles for cycling, trekking, inline skating, walking and running.